Dale is a Licensed Professional Counselor / Mental Health Service Provider, practicing in White House, TN since 2010. He enjoys working with families and married couples. Dale believes that most families can thrive and those who aren’t have either forgotten how or simply lack the necessary skills. Oftentimes, the members of the family are interacting in negative ways that can be remedied with a change in thinking and behavior. Dale can help family members learn to function properly and rediscover the joy of being together. While many men could benefit from counseling, they are typically reluctant to seek it. Dale wants to help men be the best they can be for their wives, their children and themselves. 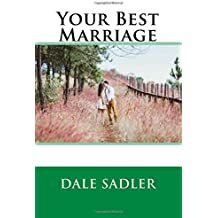 Dale is the author of four books: Your Best Marriage, Generations to Come: Becoming all things to your child, 28 Days to A Better Marriage and No More Yelling: Communicate effectively with your child. All available at Amazon.com. Dale’s writings have been featured in the Newsletter for the Tennessee Association of Marriage & Family Therapy, the National Center for Fathering website at Fathers.com and various Christian magazines including Think by Focus Press. As on online curriculum consultant with Renewed Vision Counseling Services, Dale trains other counselors on topics such as ADHD and bullying. Dale is also a trained Prepare/Enrich provider which is an assessment for couples looking to get married or for those who want to strengthen their relationship. He has been a regular speaker at conferences including the Tennessee School Counselors and Administrators Institute. Call 615.513.3642 to make an appointment. You can also do this by email. In-patient mental health facility for children and teens. Dale is married to an awesome woman who is also an amazing 3rd grade teacher. His two kids are equally as impressive with his little girl being adept at dress-up and his son who loves life. Dale spends his spare time fly fishing, hiking and camping.